I can't believe I'm writing my final festival diary of 2015; this Summer has been a total whirlwind. I mean it when I say it was truly the greatest summer of my life. Festival-wise, it couldn't have been better! Reading and Leeds festival have always been the dream of any "alt" teen to go to. Obviously being in Ireland, that wasn't a reality for me until this year. 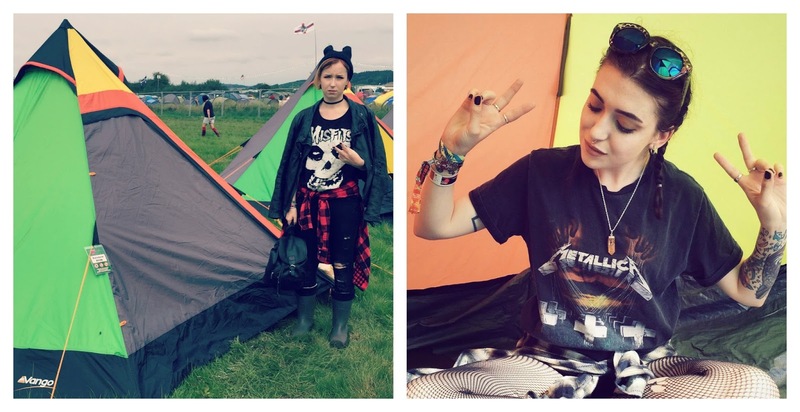 When I was given the chance to attend Reading Festival*, I could have easily burst into tears out of pure excitement. The line-up this year was incredible and the experience completely lived up to my expectations. My friend Sarah and I flew over on Friday morning; we got up at 3:30am and travelled via plane, coach and shuttle bus to the festival and arrived at our campsite by midday. We were absolutely wrecked needless to say but the buzz completely took over as soon as we collected our press bands! We stayed in private Pink Moon Camping* this time round, which was possibly the greatest camping tent experience I've had at a festival yet - and I'm usually not a fan of it. We stayed in a giant Rainbow Tipi (that was at least five times the size we expected it to be, woo) and had a big sleeping mat and two sleeping bags waiting for us inside. Not only was the tent a dream but the facilities in the camping area were a total lifesaver and made us feel somewhat human after trodding through mud each day: there were clean toilets (with actual toilet paper), showers, phone charging tents and sinks with fresh water. I cannot stress enough how much I recommend saving up the extra few bob for Pink Moon Camping at your next festival! I saw so many of my favourite acts at Reading, it's still hard to absorb them all. The exact list is as follows, in no particular order: Panic! at the Disco, Pvris, Wolf Alice, Metallica, All Time Low, Shura, Years & Years, Kendrick Lamar, While She Sleeps, Swim Deep, Alexisonfire, Bring Me The Horizon, Babymetal, Limp Bizkit and more. Madness! 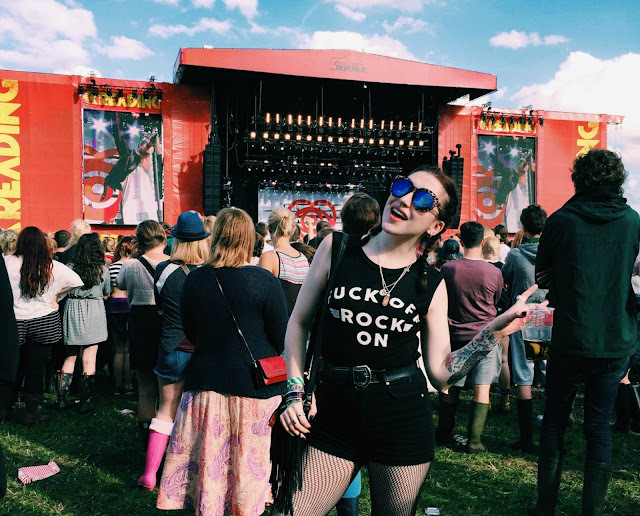 My Top 5 acts were Metallica (you'll see why at the end of the post, ahem), Bring Me The Horizon, While She Sleeps, Wolf Alice and Years & Years. I enjoyed all of them but those guys in particular were phenomenal. All completely different to one another and bursting with energy. 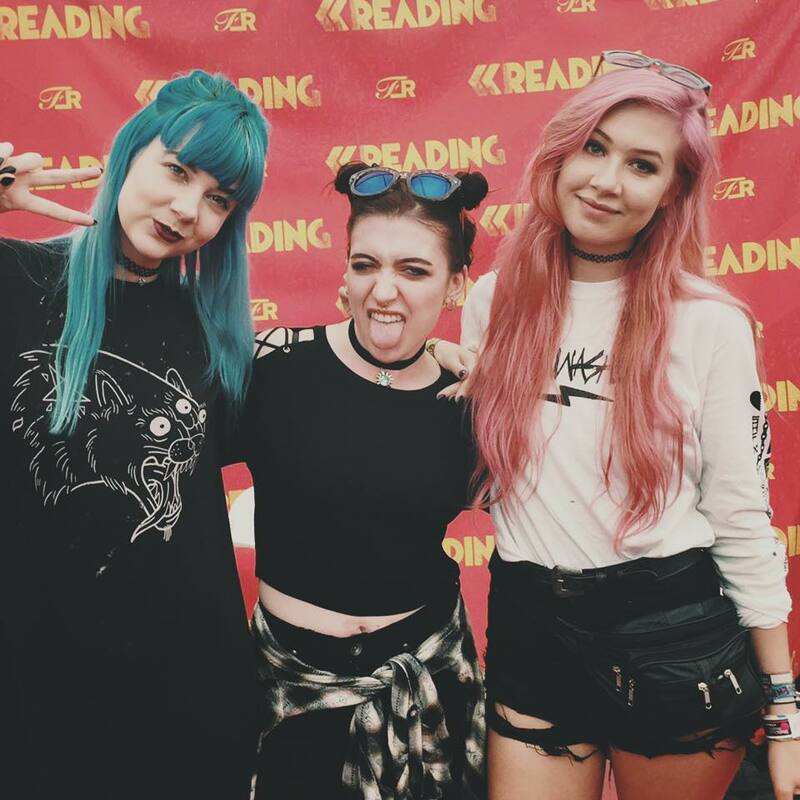 We met quite a few peeps in the press area at Reading, which definitely gave me have a stroke or two each day. 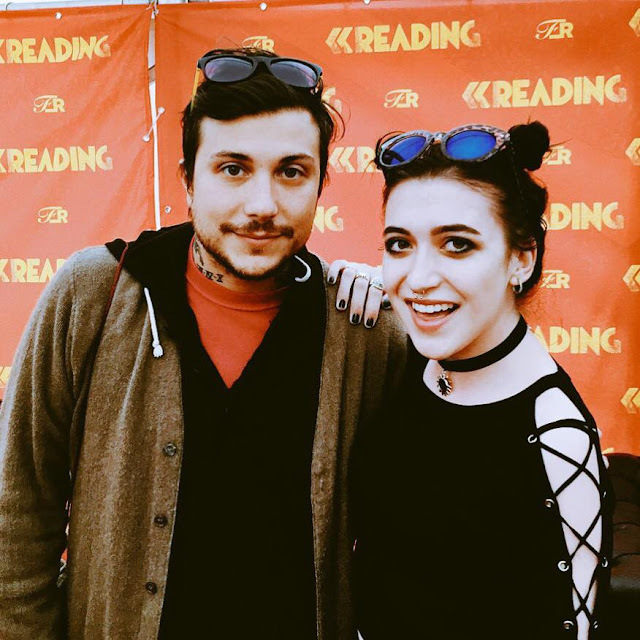 My highlight was meeting Frank Iero on the Sunday! I was a dedicated MCR fan as a teen. I've been to every live show they've ever played in Ireland and I practically worshipped the ground they walked on. When Amy and I saw Frank hanging around, we both knew we had to say hi or we'd really regret it. He was SO lovely and was more than happy to chat to us. I honestly felt like I had met the pope. My 14 year old self is still 'dying'. Amy and I also met While She Sleeps - one of our favourite bands. Amy introduced me to WSS back in February and I've been playing them daily, since. Their show was the last one on my list to see and a brilliant way to end Reading festival! They're one of the greatest UK bands around at the moment and if you don't listen to them already, give their album 'Brainwashed' a listen ASAP. The highlight of Reading for me, and the highlight of my entire year, was being on stage with Metallica. Yep, you read that right. 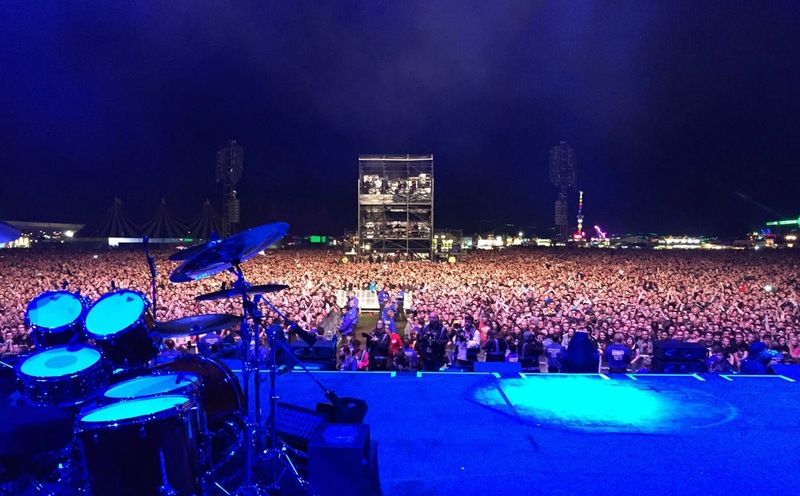 I was on stage with Metallica. (Even typing that gives me goosebumps)! 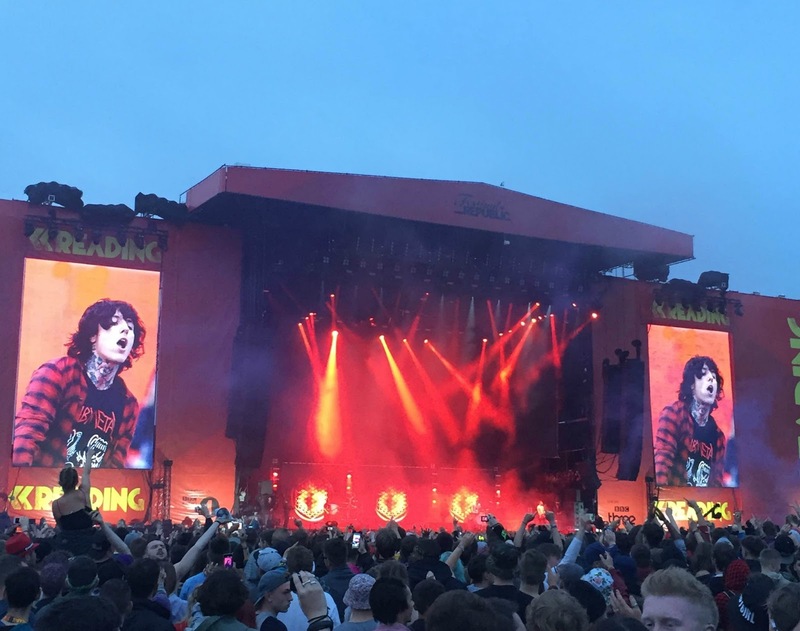 During Bring Me The Horizon's set on Saturday night, an American dude approached my friends and I after he spotted I was wearing a Metallica tee. He started randomly quizzing us on the band and we all thought he was just drunk (lol). He eventually blurted out "Wanna join Metallica on stage during their set?" and whipped out his Metallica tour pass.. I nearly fainted. My legs turned to mush and I could barely speak. "Erm.. sorry. What? YES. What?!" There we were amongst thousands of people and he happened to spotted little old me. Madness. We were led on stage about 20 minutes before Metallica's set and it was honestly one of the most terrifying experiences of my life. I get panic attacks doing presentations in college in front of 15 people, so you can only imagine how I felt stepping on to a main stage in front of like, 80,000+ humans? It was surreal. Eoin and I ended up smack-bang in the front row, right behind Lars the drummer (to our delight, as we're drum-obsessed) and all we had to do was wait. 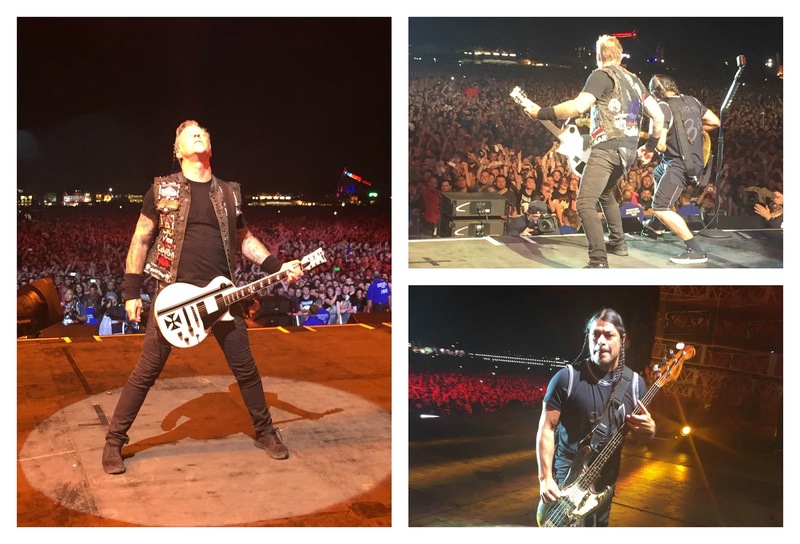 The lights went out, the crowd were screaming and Metallica stormed on stage. I couldn't breathe. "Is this happening? What is my life?" They played nearly a 3 hour set - everything from Fade to Black, Whiskey in the Jar to Master of Puppets was blasted out to utter perfection. There is nothing as delicious as hearing pure metal music live, particularly when you're on the feckin' stage. It's hard to describe how it felt to be there and experience this but I can honestly say it's something I'll take with me to the grave. After the set, we were all standing in our rows with complete shock spread across our faces. I thought my jaw was going to fall off from smiling so much. Robert the bassist made our lives even more complete, by giving us custom-made Metallica guitar plecs. I clutched on to them for dear life. What a night! 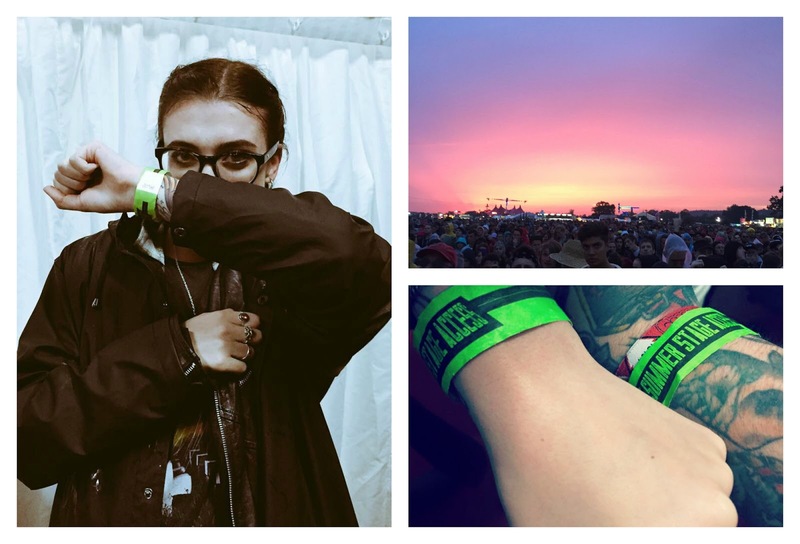 My first Reading Festival experience is clearly one I'll remember forever and I highly doubt I'll ever top it, haha. The energy throughout the site was beyond positive, everyone was there to have a good time and it was everything I hoped it'd be and more. I'm already counting down the days until next year. What a flawless way to end Summer 2015. Thanks Reading for an incredible weekend!